Mega lottery jackpots, big winners and out-of-the-blue scratch ticket miracles are routinely featured across American media. Lottery revenues are often critical to government budgets and help subsidize a variety of programs. In 2014, lotteries contributed $21.3 billion to state budgets, up from $18.2 billion in 2008, according to the U.S. Census Bureau. The research literature in this area, however, often highlights the more problematic aspects of this phenomenon. A 2011 paper in the Journal of Gambling Studies conducts a thorough review of the available research on lotteries and concludes that the “poor are still the leading patron of the lottery and even the people who were made to feel poor buy lotteries. The legalization of gambling has seen a significant increase of young people gambling, particularly in lotteries, and the best predictor of their lottery gambling is their parents’ lottery participation.” A 2016 study in the same journal reports that more people have gambling problems in states with more types of legal gambling or where gambling has been legal for longer. 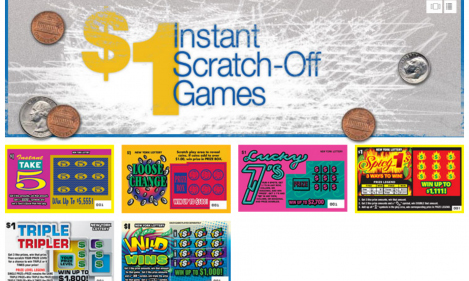 A 2012 study from Yale University finds that the “receipt of scratch lottery tickets as gifts during childhood or adolescence was associated with risky/problematic gambling and with gambling-related attitudes, behaviors, and views suggesting greater gambling acceptability.” Moreover, other studies, such as a 2010 paper in the Journal of Community Psychology, find that lottery outlets are often clustered in neighborhoods with large numbers of minorities, who are at greatest risk for developing gambling addictions. The psychological reasons that explain the connection between poverty and lottery play are complex. A 2008 experimental study in the Journal of Behavioral Decision Making states that “it would be naive to think that low-income individuals disproportionately play lotteries due to ignorance or cognitive errors.” The researchers found that participants, made aware of their low-income status, may play such unlikely odds because of a sense that there is a uniquely level playing field where everyone, rich or poor, has the same chance of winning. The tendency to play the lottery in a given year increases for people in their twenties and thirties — the proportion hovers around 70% in those age groups. It dips slightly to about two-thirds for people in their forties, fifties and sixties; and then declines to 45% for people 70 and older. Men play more frequently than women do — 18.7 days over the past year for men, versus 11.3 for females. Citation: Barnes, G.M,; Welte, J.W. ; Tidwell, M.C. ; Hoffman, J.H.. "Gambling on the Lottery: Sociodemographic Correlates Across the Lifespan." Journal of Gambling Studies, December 2011, Vol. 27, No. 4, 575-86. doi: 10.1007/s10899-010-9228-7.